Arbitration is one of the standard clauses in all capital acquisition contracts awarded by the Indian Ministry of Defence (MoD) and the Services Headquarters (SHQs). The Defence Procurement Procedure, 2016 (DPP) contains four formats of the arbitration clause, each of them specific to the contracts with the foreign vendors, Indian vendors, Central and State Public Sector Enterprises, and the Defence Public Sector Undertakings (DPSUs) respectively. The text of the clauses meant for the Indian and foreign vendors specifically states that the arbitration proceedings shall be conducted in India under the provisions of the Arbitration and Conciliation Act, 1996 (as amended from time to time) and the award of the Arbitration Tribunal shall be enforceable in the Indian Courts only. The text meant for the Defence Public Sector Undertakings (DPSUs) is different. It simply says that in the event of any dispute or differences relating to the interpretation and application of the provisions of the contract, such dispute or difference shall be referred by either party to the Arbitrator(s) appointed by the Defence Secretary and the award of such Arbitrator(s) shall be binding upon the parties to the dispute. Though the statute which will govern such arbitration is not specified, it will be fair to assume that the aforesaid Act of will be applicable in this case also. The only exception to this is the clause related to the Central and State Public Sector Enterprises (PSEs) which provides that the aforesaid Act shall not be applicable. This clause also provides that the arbitration will be conducted by a sole arbitrator nominated by the secretary in-charge of the Department of Public Enterprises. In this respect also, it is different from the other clauses which envisage arbitration by an Arbitration Tribunal consisting of three arbitrators. (This provision is implied in the text of the clause related to the DPSUs.) The reason why an exception has been made in respect of the Central and State PSEs, both in regard to the law governing arbitration proceedings and the composition of the Arbitration Tribunal is not explained in the DPP. In any case, in three of the four situations, arbitration is to be conducted as per the aforesaid Act. This aforesaid Act is based on the model Conciliation Rules of 1980 and the Model Law on International Commercial Arbitration of 1985, adopted by the United Nations General Assembly with a view to establishing a unified legal framework for the fair and efficient settlement of disputes arising in international commercial relations. Despite this, the foreign vendors have been urging the MoD to accept arbitration under the laws and procedures of other countries and Arbitration Institutions like the London Court of International Arbitration (LCIA), International Chamber of Commerce's (ICC) International Court of Arbitration (ICA), Singapore International Arbitration Centre (SIAC) and the Hongkong International Arbitration Centre (HKIAC). These are admittedly the four best known Arbitration Institutions in the world today. The government's aspiration to make India a favoured destination for international arbitration is well known. Towards this end, the International Centre for Alternative Dispute Resolution (ICADR) was set up as a Society under the Societies Registration Act, 1860 at the initiative of some of the leading legal luminaries of the time. It was inaugurated by the then Prime Minister of India at New Delhi on October 6, 1995. The ICADR was set up for promotion and development of Alternative Dispute Resolution facilities and techniques to facilitate early resolution of disputes and to lessen the burden of the Courts. It is an autonomous organisation with its Headquarters at New Delhi and Regional Centres at Hyderabad and Bengaluru. The Chief Justice of India is its Chairperson. Dr HR Bhardwaj, former Governor of Karnataka and Founder Chairperson, ICADR is now its Patron. This has not, however, taken India closer to becoming an international arbitration hub. So much so that the LCIA, which had set up an independent base in India in 2009 decided to wind up its operations in 2016. The government has apparently decided to renew its efforts to achieve the objective of making India a preferred destination for international arbitration. With this in view and also to synchronise the law and practice of arbitration in India with the global best practices, the Arbitration and Conciliation (Amendment) Bill, 2018 was introduced in Lok Sabha on July 18, 2018. The Bill seeks to amend the aforesaid Act of 1996 by amending certain provisions thereof relating to domestic and international arbitration and the conduct of conciliation proceedings. The said Bill was passed by the Lok Sabha on 10 August 2018 as a prelude to its enactment. 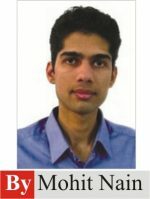 Setting up of an Arbitration Council of India: The proposed Section 43A envisages setting up of an independent body called the Arbitration Council of India (ACI) to promote all forms of alternative dispute redressal mechanisms, including arbitration, mediation and conciliation. India currently has more than 35 Arbitration institutions, including the Arbitration Tribunal (now called FACT) set up by the Federation of Indian Chamber of Commerce and Industry (FICCI) in 1927. However, there are no common professional standards for these institutions. The functions of the proposed ACI will include formulation of a policy for benchmarking and grading all Arbitral Institutions, accrediting Arbitrators, and for establishment, operation and maintenance of uniform professional standards for all alternate dispute redressal matters. It will also act as a depository of all arbitral awards (judgments) made in India and abroad. Appointment of arbitrators: While under the provisions of the 1996 Act, parties to a dispute have the right to appoint arbitrators on their own, in the case of disagreement on an appointment, failure by one of the parties to appoint an arbitrators, or failure on the part of two arbitrators to agree on a third arbitrator within the stipulated time, the parties have to request the Supreme Court (in the case of international arbitration in which one of the parties is a foreign entity) or the High Court concerned to appoint an arbitrator in terms of Section 11 of the said Act. This Section also provides that such appointment can be made by any other person or institution designated by the Supreme/High Court, as the case may be. As per one of the amendments proposed in the said Amendment Bill, the Supreme Court and High Courts may now designate arbitral institutions, which parties can approach for the appointment of arbitrators. For international commercial arbitration, appointments will be made by the institution designated by the Supreme Court. Relaxation of time limits for making the award: Under Section 29A of the 1996 Act, inserted vide the Amendment Act of 2015, Arbitration Tribunals have to make the award (judgment) within a period of 12 months in all cases. The aforesaid Bill seeks to exempt international commercial arbitrations from this restriction. Apparently, this amendment is in deference to the international norm which does not take away the autonomy of the parties in arbitration proceedings, which is a hallmark of the Alternative Dispute Resolution mechanism, by superficially imposing a time-limit within which the award must be made, irrespective of the complexity of a particular case which may require a longer period for completion of the proceedings. In respect of arbitrations, other than the international commercial arbitrations, the aforesaid Bill proposes that the period of 12 months should be counted only from the date of completion of the pleadings. Completion of written submissions: Section 23 of the 1996 Act deals with submission of statements of claim and defence by the parties but presently it does not prescribe any time limit to file written submissions before an Arbitration Tribunal. The aforesaid Amendment Bill envisages completion of the written submissions of claim and defence within six months of the appointment of the arbitrators. Confidentiality of proceedings: The 1996 Act provides for confidentiality only in respect of Conciliation cases. The aforesaid Amendment Bill, however, proposes that confidentiality will also be maintained in respect of the arbitration proceedings, except for the arbitration awards. Even the award will be disclosed where it is necessary to do so for implementing or enforcing it. The proposed Section 42A in the aforesaid Amendment Bill will align the Act with the global practice. Immunity for the Arbitrators: The aforesaid Amendment Bill envisages more freedom for the arbitrators by granting immunity to them from any legal proceedings for acts and omissions done during the course of the arbitration proceedings so that they could discharge their responsibility without any fear. The proposed Section 42B in the aforesaid Amendment Bill says that no suit or other legal proceedings shall lie against the arbitrator for anything which is done or intended to be done in good faith under the Act or the rules/ regulations made there under. The arbitration proceedings are conducted by specialised institutions as well as arbitrators who are not a part of any such institution. While the former type of arbitration is called Institutional Arbitration, the latter is known as Ad-hoc Arbitration. Arbitration in respect of defence contracts in India follows the system of Ad-hoc Arbitration. Therefore, the gradation/benchmarking of the Arbitration Institutions operating in India by the proposed ACI is unlikely to have any impact on defence related arbitrations, unless MoD adopts the system of Institutional Arbitration. However, standardisation of professional norms by ACI for conduct of the arbitration proceedings should go a long way in developing confidence among the foreign companies about the efficacy of the Alternative Dispute Resolution mechanism in India. Designation of Arbitration Institutions for discharging the functions presently required to be performed by the Supreme Court and the High Courts as regards appointment of arbitrators in the circumstances mentioned above should expedite the process as these designated institutions will be able to attend to such requests more expeditiously than the Courts which are presently overloaded with legal matters. However, this is unlikely to make a real difference for the reason that it is not often that one of the parties fails to appoint an arbitrator or the two arbitrators (appointed by both the parties) fail to agree on a third arbitrator.